By Julian Burnside AO QC. Since about 1998, a significant proportion of boat people coming to Australia have been Hazaras from Afghanistan or Pakistan. On 26 August 2001, the Norwegian cargo ship MV Tampa rescued the passengers of a small boat called the Palapa. The Palapa was breaking up in moderate seas in the Indian Ocean. The captain of the Tampa reckoned there might be 50 or 60 people on the Palapa. As it happened, there were 438 of them, most of whom were Hazaras from Afghanistan. The Tampa was denied entry into Australian waters; but in defiance of then Prime Minister John Howard, the Tampa sailed into the waters off Christmas Island and into Australia’s legal and political history. In response, the Howard Government set up the Pacific Solution. After the allied invasion of Afghanistan in late 2001, and the overthrow of the Taliban, the Howard Government forced a number of Hazaras to return from Nauru to Afghanistan. Most fled immediately to Pakistan. Some returned to their villages in Afghanistan. Some of them have since been killed by the Taliban who, though no longer in government, nevertheless have substantial power in Afghanistan. The fate of Hazaras returned to Afghanistan from Nauru has been well documented by the Edmund Rice Centre, in their compelling report Deported to Danger. In recent times, Hazaras from Afghanistan still form one of the major groups of boat arrivals in Australia seeking asylum. It is mute testimony to their fear of the Taliban that a number of Hazaras have tried a number of times to get here by boat, despite the dangers of the voyage. (Presumably, the Expert Panel and the Gillard Government think that Australia can so mistreat boat people as to make coming to Australia look more alarming than staying home and facing the Taliban). The Hazaras arrived in Afghanistan seven or eight hundred years ago. 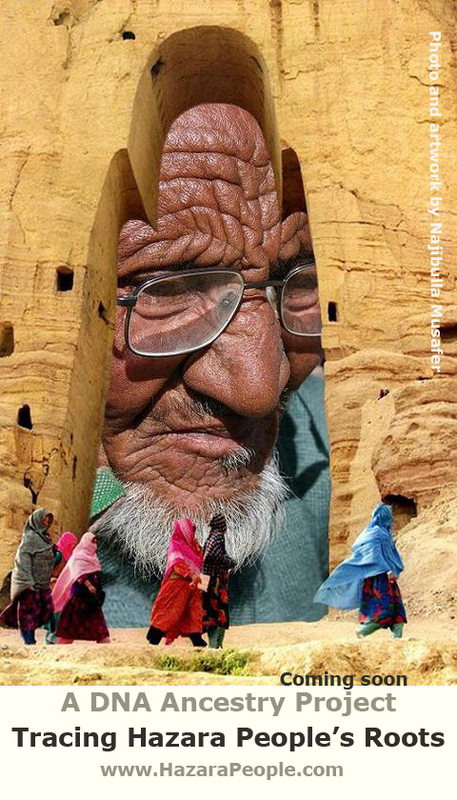 Most people remember that in February of 2001 the Taliban demolished the great Bamiyan Buddhas. These two enormous Buddhas were hewn into the cliff face by Hazaras six or seven hundred years ago, because when the Hazaras arrived in Afghanistan they were Buddhist. Today Hazaras are easily recognised, because they are distinctly Asian in appearance. They are thought to be the descendants of Genghis Khan. They have been targeted by the Pashtun majority in Afghanistan for a long time, certainly since the time of King Abdurrahman in 1854, but they are especially persecuted under the Taliban. The Taliban, who are all Pashtun, are Sunni Muslim. 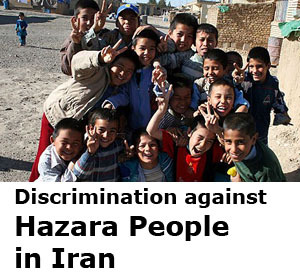 The Hazaras converted to Islam a long time ago, but they embraced Shi’a Islam. The divide between Shi’a and Sunni Muslims has an unhappy similarity to the divide between Catholic and Protestant Christians. In Afghanistan, and increasingly in lawless areas of Pakistan, relations between the two Muslim groups bring to mind the oppression of Roman Catholics in late 16th and early 17th century England, or more recently in Northern Ireland. And so we have the unfortunate spectacle of a religious minority who are hated by the religious majority, who look physically different and, adding a historical resonance, Hazara men are circumcised. Pashtun animosity of the Hazaras increased during the Soviet occupation of Afghanistan. Hazaras had traditionally been excluded from higher education (girls were not allowed to be educated at all), but the Soviets thought all people should be entitled to an education. The Hazaras welcomed this and sided with the Soviets. The Americans, in pursuit of their goal of ousting the Soviets, set up a fighting force and armed them. They were the Taliban, drawn from the Pashtun majority. The Taliban thus have historical, political and religious reasons for hating the Hazaras, and they have been peculiarly brutal in their assault. On 8 August 1998 the Taliban occupied Mazar-e Sharif. 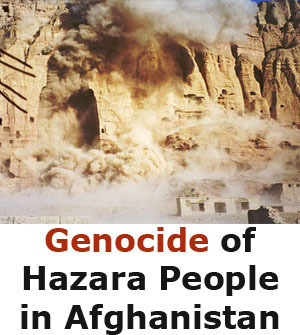 They conducted a murderous spree which lasted three days and killed at least 2000 Hazaras. In the years since, there have been many reported instances of attacks by Taliban on Hazaras, both in Afghanistan and in Pakistan, especially Quetta. The city of Quetta lies just over the border which separates Afghanistan from Pakistan. It is part of the territory (the Hazarajat) which was traditionally occupied by Hazaras before English cartographers created Afghanistan and, later, Pakistan. It is natural therefore that many Hazaras move from Afghanistan to Quetta. One part of Quetta is largely a Hazara ghetto. But the Taliban are increasingly uncontrolled in Pakistan, and Hazaras who live in Quetta face the daily risk of being killed by a suicide bomber or shot by a Taliban sniper. Three Hazara friends of mine (who came here as boat people but are now Australian citizens) recently went to Quetta to visit family members. They returned to Australia shocked by what they had seen: they could scarcely go outside, for fear of snipers; when they ventured out to the market, they saw small posters on every power pole identifying Hazaras who had recently been killed by snipers. They saw taxi drivers refuse to pick up Hazaras, for fear of being caught in an ambush. Recent news reports tell a consistent story. 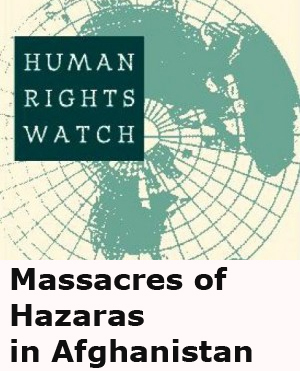 In June 2010, at least nine Hazara men were killed in an ambush in a remote area of central Afghanistan that is largely controlled by the Taliban. The Taliban subsequently claimed responsibility for the attack. According to Afghan security officials, the attack occurred in a mountainous part of south-eastern Uruzguan Province that is not under government control, and it was reportedly motivated by the perception that Hazaras act as spies and informants to the international military forces in the area. 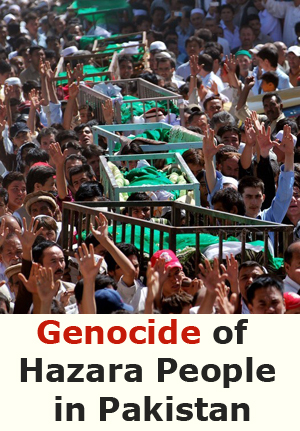 Just this year, on 10 January 2013, there were murderous attacks on Hazaras in Quetta. Recently the Taliban have declared it their duty to kill Hazaras. 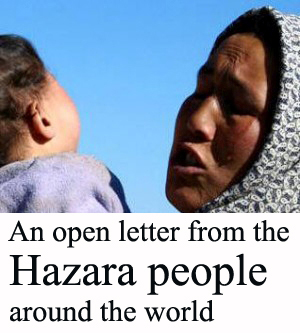 The Taliban are engaged in ethnic cleansing of the Hazara people. As a result, many Hazaras have left Afghanistan; north to Iran, east into Pakistan, or (using people smugglers) to Europe, America or Australia. It has been estimated that the Hazara population in Afghanistan has reduced from 20 per cent to less than 10 per cent over the past 15 years. Allied forces have announced that they will withdraw from Afghanistan in 2014. It is a certainty that Taliban attacks on Hazaras will increase uncontrollably when that happens. What can we do? Australia receives very few refugees: even an annual arrival rate of 20,000 boat people would be a low number by international standards. As it happens, the last time we got as many as 20,000 boat people in a year was in the late 1970s, when the Fraser Government received between 20,000 and 25,000 Indo-Chinese boat people each year for a few years. It is a measure of recent politics that the arrival of the Indo-Chinese boat people caused virtually no fuss back then, when Australia’s population was smaller and Australia was less rich, but our political standards were higher. Of course, these numbers need to be assessed against the vast size of our continent; against our permanent migration figures of 200,000 plus per year; and against our great wealth. And perhaps we should assess ourselves against Greece, which has a population about half of Australia’s, is in great economic trouble, and has just offered to receive 20,000 Syrian refugees. When boat people survive the perils of the sea and arrive on our shores, the great question for Australia is: how should we respond? In the past decade or so, our answer to that question has been: detain them, send them somewhere remote, frighten them off. This response has positioned us as selfish and cruel. Despite its populist rhetoric about boat people, the Labor Government has found itself in a bind recently: the new Pacific Solution, with its cynical “no advantage” component, has failed. Numbers of boat arrivals have not fallen; detention centres are full, and the present capacity of Manus Island and Nauru makes it impractical to send more boat people there. So a number have been released into the community on bridging visas. At present there are more boat people in the community on bridging visas than there are in detention. This has not caused society to break down; it has not resulted in any discernible problems. In this there may be a clue to a sensible – and decent – way of dealing with boat people. during the time their visa applications were being processed, they would be required to live in rural or regional areas of Australia. Any government benefits they received would thus work for the benefit of the rural and regional economy. There are plenty of towns around the country that would welcome an increase in their population. It would take a bit of political selling, although I suspect that rural and regional Australia would be quick to see the benefits of this new approach. The National Farmers’ Federation estimate that there are currently 96,000 unfilled jobs in country areas. It should not be too hard to persuade the community that we can do better than we are doing now. The present system is supported by lies. Of course criminals should be treated as criminals. But when you see that boat people are not criminals it is more difficult to understand, much less accept, our treatment of them. I believe most Australians are decent, generous people. Our record in both world wars stands as a tribute to our national character; our response to the Asian tsunami is another. It was tragic to see our national character brought down by the Howard Government’s deceptive rhetoric about boat people (most of it calculated to win back voters who had drifted to One Nation). It is equally tragic to see our national character being damaged by a Labor Government which does not have the political spine to tell it as it is: to point out to voters that there is a better way; that we are better than this. Julian Burnside AO QC is an Australian Barrister and an advocate for the human rights and fair treatment of asylum seekers.